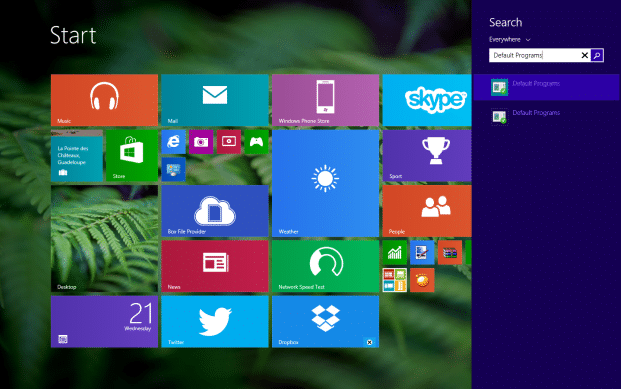 On both Windows 8.1 and Windows 10, Microsoft has set modern or universal apps as default for most file types. 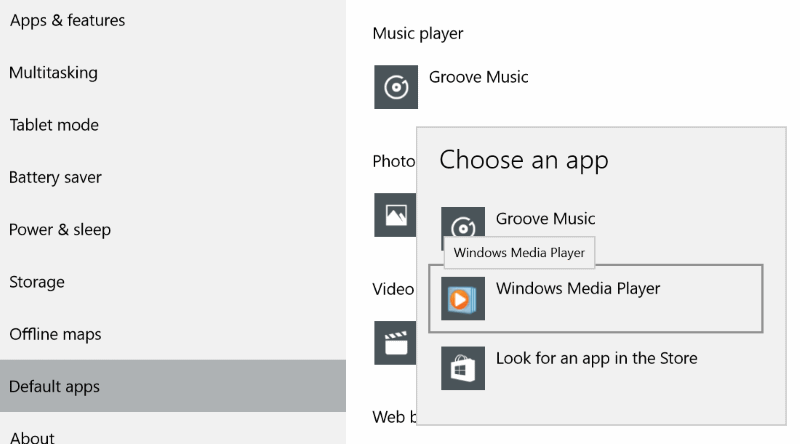 The Music app or Groove Music (on Windows 10) is the default music or media player. While the Groove Music app in Windows 10 is pretty good and it has been revamped with a number of new features, it still lacks a couple of features, and it isn’t as good as Windows Media Player or any other popular desktop player for that matter. Even though Microsoft hasn’t done any major improvements to Windows Media Player for a long time, it’s still one of the best media player software out there for Windows operating system. The problem with the default Groove music in Windows 10 is its unpredictable behaviour and more importantly, takes good amount of time to open when compared to the classic Windows Media Player. 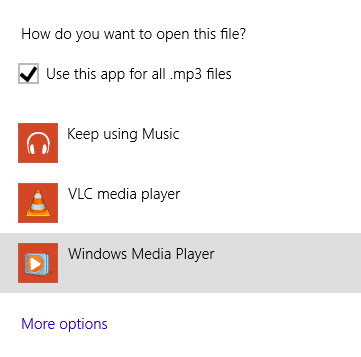 If you like Windows Media Player for some reason and want to set it as the default player in Windows 8.1 or Windows 10, you can follow the given below instructions. 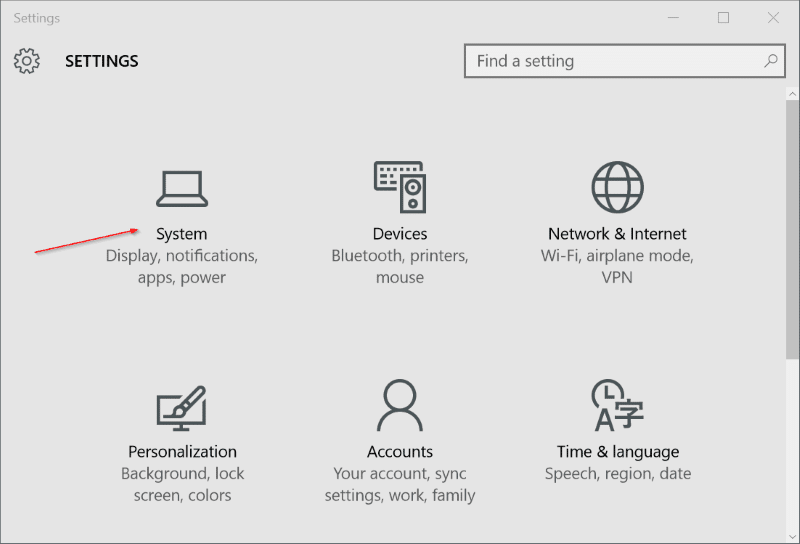 Step 1: Open Start menu, click Settings icon to open Settings app. Step 3: Click Default apps. Scroll down to see Music Player section. 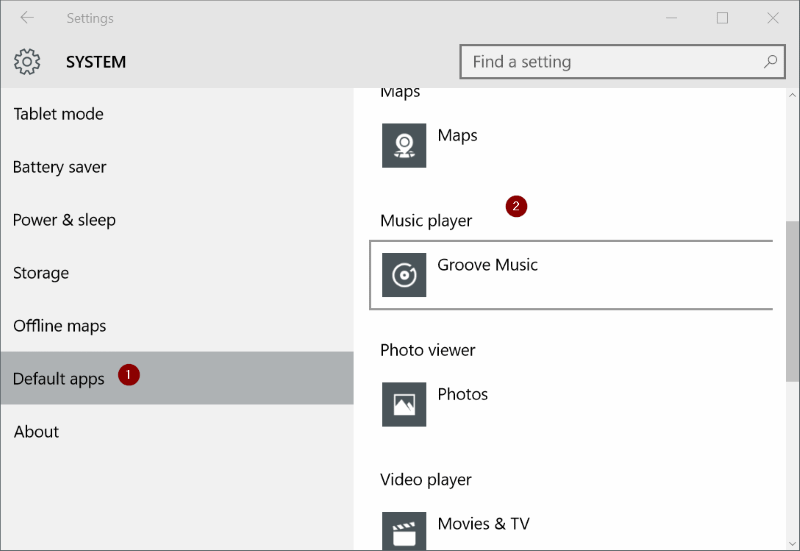 Step 4: As you can see, Groove Music is the default music or media player on Windows 10. In order to change the default player to Windows Media Player, click on the Groove Music entry to see Choose an app, click on Windows Media Player entry to make it as the default music player on Windows 10. 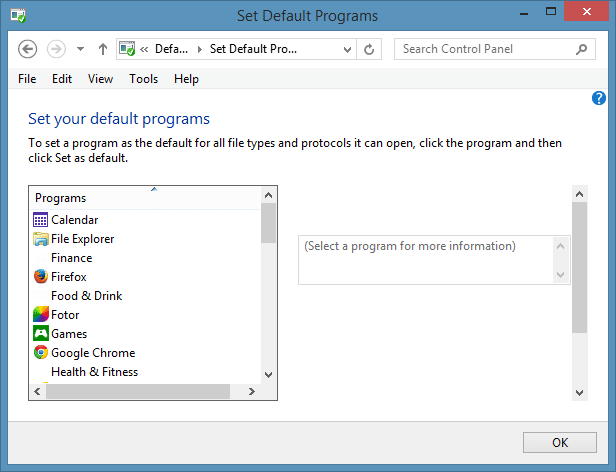 Step 1: Switch to the Start screen, type Default Programs and press enter key open Default Programs window. 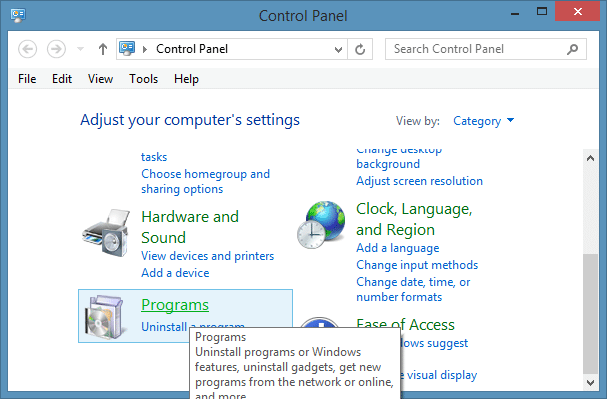 Alternatively, you can open Control Panel (see how to open Control Panel in Windows 8/8.1), click Programs, and then click Default Programs. 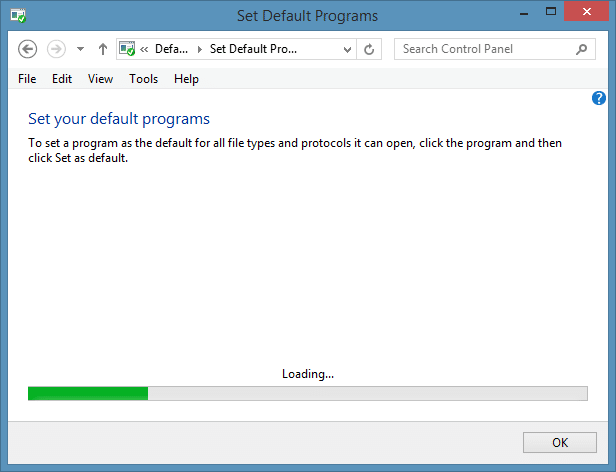 Step 2: Here, click on the option titled Set your default programs to begin scanning for all installed desktop programs as well as apps installed from the Store. 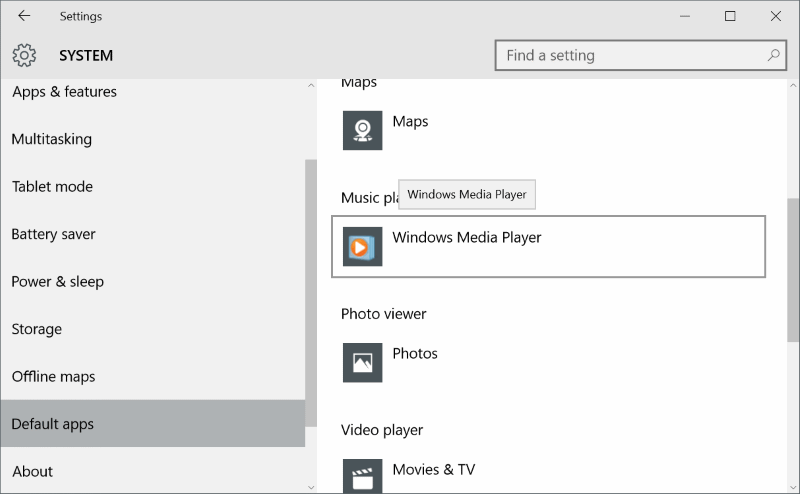 Step 3: In the left-pane, under programs, locate the entry titled Windows Media Player. 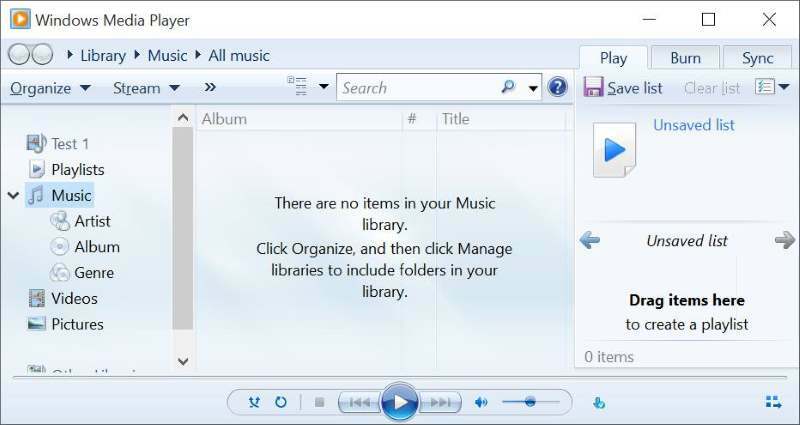 Step 4: Select Windows Media Player entry in the left-pane and then click Set this program as default option present in the right-side to set Windows Media Player as default player for every file type that it supports, or click Choose defaults for this program option to make WMP default for certain file types. We suggest you click on the second option (Choose defaults for this program) if you wish to set WMP as default only for audio files or individual file types. 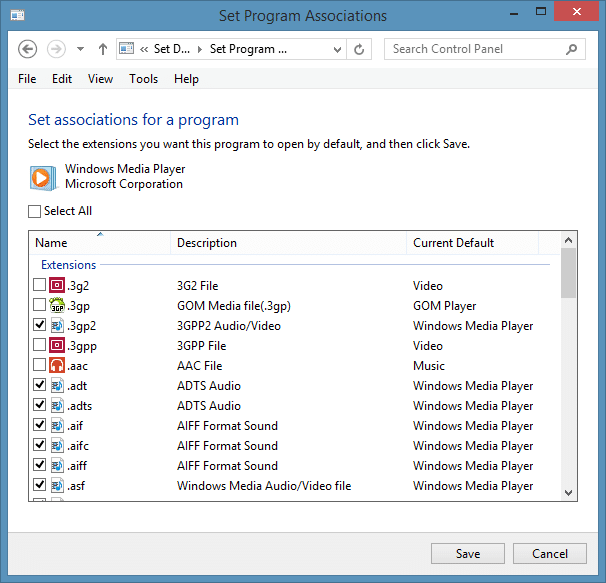 Clicking Set this program as default (the first option) will set WMP default for both audio and video file types that it supports. Click the second option, check the file types that you would like to associate with WMP and then click Save button. 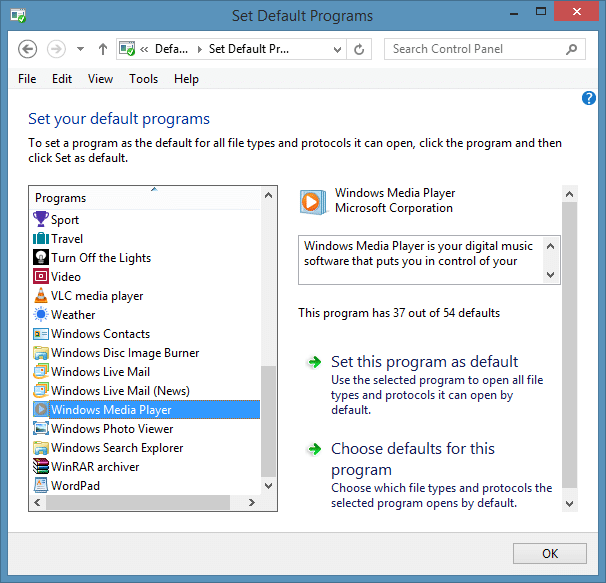 Use this method if you want to set Windows Media Player as default only for certain type of files. 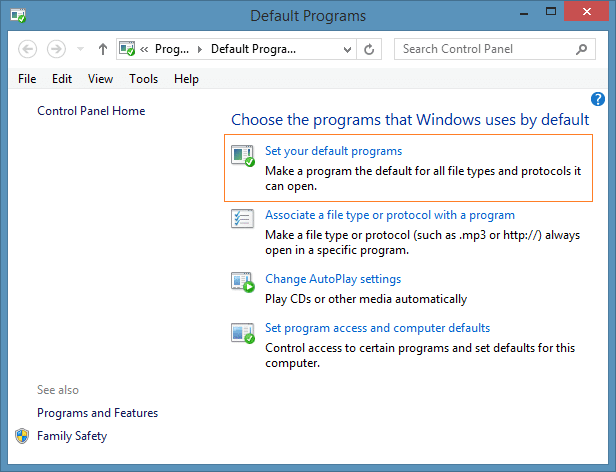 That is, you don’t need to open up Default Programs to set WMP as default player for one or two file types. Simply follow the below mentioned instructions to quickly set WMP as default. Step 1: Right-click on the file type that you would like always open in Windows Media Player, click Open with, click Choose default program, and then select Windows Media Player to set it as default for selected file type. For instance, if you would like to set Windows Media Player as default for .MP3 file type extension, simply right-click on it, click Open with, click Choose default programs and then select Windows Media Player to set WMP as default player to open .MP3 files. How to make Windows Photo Viewer default on Windows 10 guide might also interest you. Why does this page link to the search “How do I make WMP my default DVD player ?” when you do not supply this information? Not impressed. Thank you so much, this was exactly what I needed! Some of them you have to be a Microsoft geek, some need a third party program and some need a rocket launcher to kill that fly. You have as an average user a choice and not Microsoft . I’m in the same boat as Kelly Blackwell above. I’ve set Windows Media Player as the default but Groove keeps hijacking my computer whenever I open up a music file. I’m thinking of downgrading back to Windows 7 which is what I had before my “free upgrade” to this piece of c _ _ p Windows 10. Later I found the way but I can’t remember now. Have you installed WinAmp or using the portable version? I wan to use WinAmp but is not on the list. I cannot figure out what the problem is. I set Windows Media Player as my default but Groove Music still keeps showing up. I hate it. Thanks! Option 1 worked for me. I hate when developers hijack established defaults! All my MPEG videos opened up with Windows XP using Windows Media Player. Got new PC with Windows 8.1. Windows Media Player opens with sound and no video. What can I do?